If you’ve never made Predominately Paleo’s yuca dough go watch this video. It’s not hard to make at all, but this video has some great tips to make it easier. She also has a Yuca Dough FAQ. Use a vegetable peeler to take the skin off the yuca. Cut into large pieces. After boiling let the yuca cool and pick out the stringy fibrous root that runs through the center. It’s gross. If you have a coconut intolerance (like me!) sub potato or sweet potato flour for the coconut flour. For AIP use olive oil or ghee (if tolerated/reintroduced) instead of butter. Ghee will have the best flavor. You can even do a combination of ghee and olive oil. You may need to use more flour than the dough recipe calls for, just add a little bit at a time until it works for you. You need to be able to tie the knots without it sticking to your hands at all. Try coating your hands in flour or oil or refrigerating your dough if you are having difficulty. Make twice as many knots as you think you will eat, trust me on this one. Gluten free, nut free, yeast free, with coconut free, dairy free, and AIP options, these paleo garlic knots can be made for anyone to enjoy! Prepare yuca dough per Predominately Paleo's recipe. Let cool. Add additional flour as needed until the dough is no longer sticky. You do not want it to stick to your hands at all or the knots will be difficult to tie. Between two sheets of parchment paper roll dough into a thin rectangle, approximately 11x14 inches. Using a pizza slicer cut dough into long strips about 1 to 1 1/4 inches wide. Cut dough into thirds so you have pieces that are approximately 4.5 inches long. Lightly coat hands with flour. One strip at a time, pinch short ends together to form a rope. Tie each rope loosely into a knot. Place on baking sheets about 2 inches apart. Bake until puffy and golden brown, about 17-20 minutes. For a visual on how to tie knots watch this video. While knots are baking melt ghee in a small saucepan. Saute garlic until fragrant, about 1-2 minutes. Add parsley, mix, and set aside. Remove knots from oven. Using a brush or spoon top knots with the garlic butter mixture. Sprinkle with salt and parmesan cheese (or nutritional yeast), to taste. 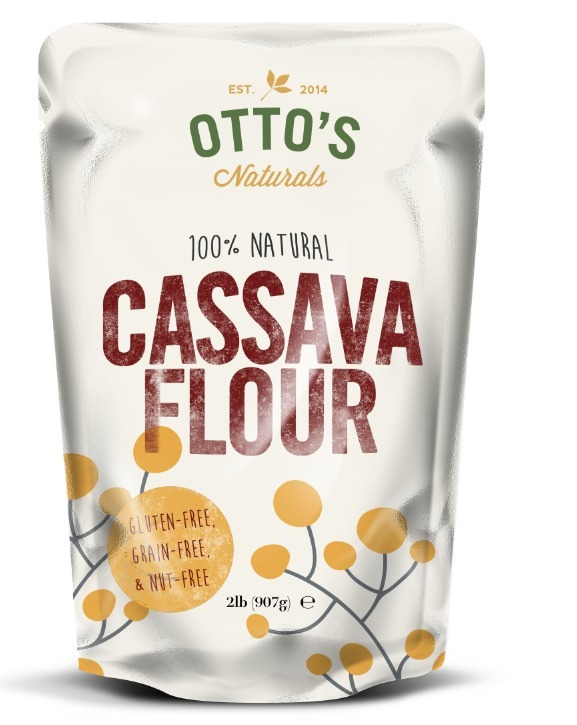 Can these be made with Otto’s Cassava flour, or does it need to be fresh yuca? You’ll need fresh or frozen yuca. Goya sells some frozen that should work well. I haven’t experimented with a flour based dough yet because of yeast allergy issues. These are really good.. Even though I do not have a technique as good as yours for tying the knots 🙂 it was a success at my place. Thank you ! What do you use for a dipping sauce. I noticed you were allergic to deadly nightshades, so I’m guessing it’s not tomato sauce. I’ve since been able to reintroduce small amounts of cooked tomatoes, so if I’m in the mood for a dipping sauce I’ll use tomato sauce. A nomato sauce would work well too, but they really don’t need it. Most of the time I just eat them as is. These sound delicious!! Do you think these would keep the same texture if the dough knots were frozen and then baked as needed? …or would it be better to bake, freeze and then reheat them as needed? I’d probably bake and then freeze. I don’t think the dough would hold up.